-Dark streaks. Airborne algae cause dark streaks on roof decks. 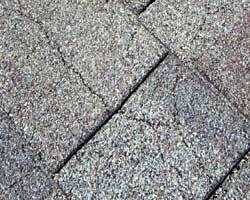 While this may not necessarily harm the roof shingles, it may not look good. 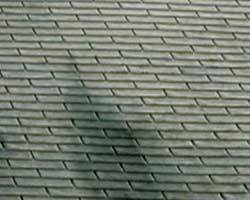 Algae streaks can be removed using a 50:50 blend of water and bleach sprayed on your roof. It is important to use a low volume garden hose so you do not knock the protective granules off your shingles. It is also important that you protect your landscaping from the bleach run-off. -Moss. 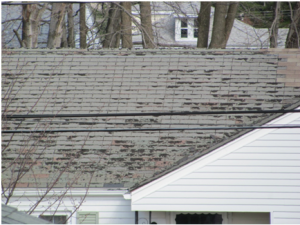 Moss can grow on roof surfaces that don’t get much sunlight especially in cool, moist climates. Moss growth can be more than a cosmetic issue. 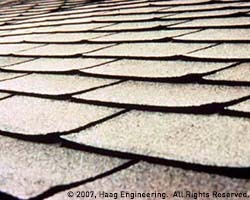 Moss holds moisture against the roof surface and overtime in freezing climates can cause damage to the granules on the top of the shingles. 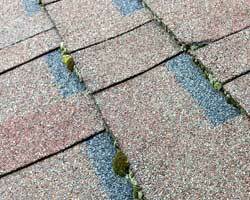 Moss can be brushed off but it won’t prevent it from growing again; take care not to damage the shingle surface. 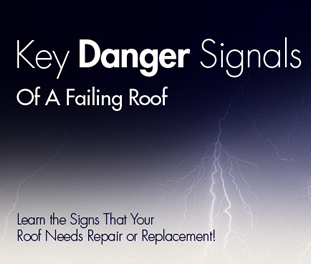 You may need to contact a professional roofing contractor.